The Rt Hon Greg Clark MP – Secretary of State for Business, Energy and Industrial Strategy – has opened Encirc’s record-breaking new furnace at its facility in Elton, Cheshire. 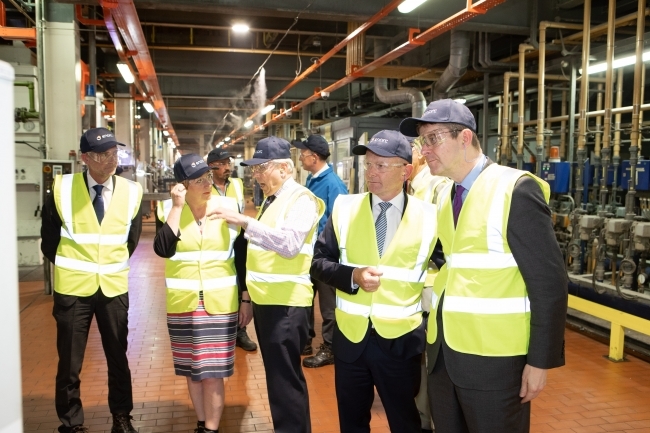 During his visit to the glass container manufacturer and bottler, the Business Secretary toured Encirc’s industry-leading factory, where he announced the official firing of what is now the largest glass container furnace in the world. The new 40-million-pound, 206m2 industrial oven was built in record time. Encirc, which is celebrating its 20th year of operation, was acquired by Spanish-based glass company, Vidrala, in 2015. Its new furnace is expected to boost Elton’s melting capacity by around 100 tonnes per day. Based out of two state-of-the-art facilities in Elton, Cheshire and Derrylin, Northern Ireland, Encirc is responsible for producing around a third of all glass containers in Britain and is considered to be the most sustainable manufacturer of its kind. The business employs more than 1,200 people and is renowned in the industry for its forward-thinking approach to sustainability and use of innovative production processes. 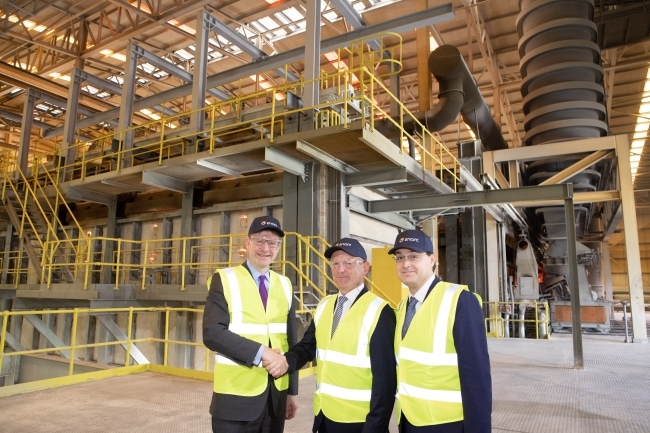 Adrian Curry, Managing Director, Encirc, added: “We were delighted to welcome The Rt Hon Greg Clark to our Elton plant. At a time when some are uncertain about the outlook of UK manufacturing, the investment in our new furnace represents a very strong commitment to our future by our Spanish-based parent company.